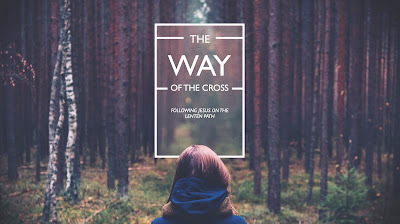 This week I'll be continuing the sermon series "The Way of The Cross: Following Christ On the Lenten Path." Today we'll be talking about what it means to Grow. First, this isn't a sermon about how to attain numerical growth. We do track our attendance figures, but our goal isn't to increase the size of the church. If that happens, we rejoice, but it's not the be-all and end-all of why we do what we do. While all of the core values that we're lifting up are part of what it means to follow Jesus more fully, Grow is the value, the discipline that is most closely connected to what we would describe as "discipleship." "Disciple" is a word that means follower or imitator. So what we are talking about here are the ways that we learn how to become an imitator of Jesus Christ---a Christ-follower. If you are not a Christian, and all of that just made zero sense to you, don't worry. There's a lot of Christians who didn't really get it either. Have you ever heard someone say, "The older I get, the less I know?" Maybe you've heard the term "Lifelong Learner" used to describe someone who is always reading, always learning something new. Or maybe you know someone who is a retiree who goes back to school to earn that degree they put off. I went to seminary with a 75 year-old retired schoolteacher who graduated with her Masters of Divinity and became a hospital chaplain. A friend of mine once told me about their brother who is in his sixties and who decided to get his law degree and start practicing law. What happens to people when they decide that they don't need to learn anything new anymore? Or they think they know everything that there is to know? Or they think that they couldn't possibly learn anything new? It isn't pretty---what you're thinking. I know, because I'm thinking it, too. It doesn't really matter what your religious bent happens to be, you get this. You don't have to be a Christian to realize that if you say that your faith is a huge part of your life, then learning how to grow in your faith is something that you probably should never---really---stop---doing. What you just read is the Shema, probably the greatest Hebrew prayer. Sh'ma Israel Adonai Eloheniu Adonai echad. Hear O' Israel, the Lord Your God, the Lord is One. This prayer is at the very heart of the matter for the Jewish people, and for the ancient Hebrew people it became something even deeper. When the prayer speaks of loving God with all of your heart your soul and your might it was a powerful image in the ancient world of giving all of yourself completely over to God. What does the Shema do for God's people? First, it's a radical expression of loyalty. In a world where there were competing gods and competing ideologies (which is nothing like our culture at all) the Shema states that there is only one God who stands above all those things and who alone is worthy of our love and worship. It also begins with a claim and not a demand. This is important because so many ancient gods made horrific demands of their adherents to mutiliate their bodies, engage in immorality and even sacrifice their children. God makes a claim. God is God, and God alone is God. The Shema identifies the One who will be the center of love, worship and the very lives of God's people. And it also serves to create an identity for the people of God. What do you do if you are God's people? Out of love you give God everything, and know that this same God will provide for you, cherish you and keep you in his will. So how did God's people live into the Shema? By now you very well may be asking: "How does an ancient Jewish prayer have anything to do with spiritual growth, discipleship and core values. The Shema served as a reminder that even though the Hebrew people possessed the land that they finally arrived in after years of being slaves, then nomads, they still did not completely possess it. Even though they received blessings, they were still awaiting blessings. In other words... they weren't done learning and growing. Ever. If you read the Bible you will find a ton of amazing stories about how God showed up and did awesome stuff in the life of God's people. And then there are a bunch of stories about how God's people stopped learning and growing and found themselves back in slavery, back to being nomads. Isn't that a lot like what happens to us when we lose sight of who we are, and whose we are? But it's the role of the individual in the covenant community of God's people---a covenant community that is based on loving promises between God and God's people. You see, if the nation as a whole was to be in covenant with God, it had to begin with the individual and then would expand to the family. If parents and grandparents were all in, the family would be all in. And when the family was all in, it spread to the community, and then on to the nation. This is how holy multiplication works people. At this point you probably see where I am going with this. "Okay, Leon... I see you, brosef. You're going to lay this all on us as individuals, aren't you. You're going to be all like, 'If you take your faith seriously then you will read your Bible more, go to church more often, maybe even hit up a Sunday school class once in a while.' And then you're going to say, 'And as you go, so goes your family, and then your neighborhood, and so on, and so on, and so on...' I got you." Seriously, thanks for preaching that part for me. I couldn't have done it without you. You know why the Hebrew people had to recite the Shema in the morning and at night every single day? Why they had to remind themselves over and over again that they still weren't there yet spiritually, and had a lot to learn when it came to loving and worshipping God? Because they kept running after other gods when they found them more attractive. So. What other gods are attracting your attention? Money? Busy-ness? Doubt? 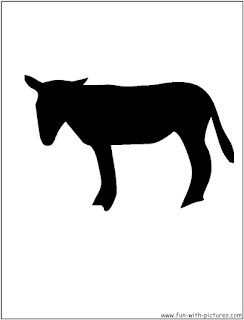 Apathy? These gods will exact a huge sacrifice from you one way or another, just like the ancient gods of yore. I'm serious. You say that faith is important to you, or at least you seem to be saying it because you come to church several times a month, and maybe you even find a place to serve in church, too, just to belabor the point. So why is it that church small group Bible studies garner a fraction of the people who come to church on Sunday morning? Why is it that most of us rarely find time to pray much less sit down and study the Bible? Here's why this is so important. 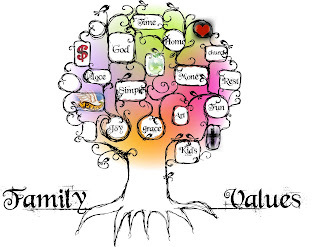 If those of us who say we are followers of Jesus Christ don't take our faith very seriously---or at least serious enough to spend time growing in our faith--doesn't it stand to reason that our children and grandchildren who look to us for their example will follow in our footsteps? And dads... this one falls on you. I can't help it. In a home where both parents take their faith seriously enough to attend church regularly only 33% of their children will follow suit. 41% will attend irregularly and 25% will never attend. In a home where the mother is regularly attending church but a father never attends only 2% of children will become regular attenders, 37% will attend irregularly, and 60% will never attend. There is an epidemic in our country right now of fathers who have checked out of the lives of their children. Our prisons are filled with fatherless inmates, both male and female. And the Church is experiencing the same epidemic. It should scare us that even when both parents are attending church that the vast majority of children in those homes will not become regular attenders. I think it's because they don't see their parents taking their faith seriously enough. Do your children or grandchildren see you pray? Do they see you heading to Bible study? Do they catch you reading a devotional book, or better yet do they catch you reading your Bible? The Shema declares that the Word of God "shall be upon your heart..." This was said on purpose because the ancients believed that our hearts are too often closed and the Word of God remains "outside." They believed that only when our hearts are softened--or broken--will they fall in. If your heart's not breaking yet, let me help. The Shema states that you are "to bind" to the words to your forehead and to your arm, and that theya re to be there when you "rise up and when you lay down." They are to be attached to the door posts of your house. Many Jews today practice this by using t'fillim--leather straps---to tie the Shema to their forehead or to fasten to their weaker hand. They also place mezuzah's on their doorposts of their houses. A mezuzah is a small, hollow glass or clay square that has the the first letter of the Shema emblazoned on it. The entire Shema is written on a piece of paper by the patriarch of the household and placed in the mezuzah, which is then fastened to the doorpost. These practices give us the imagery that the Word of God is a companion for life. Or should I say, a life-giving companion. When I was in the Holy Land one year, I bought a mezuzah with the intent of putting on the doorpost of my house. On the following Easter Sunday I took the mezuzah, which had been stuffed with a tiny piece of paper upon which I had painstakingly written out the words of the Shema, and fastened to our doorpost with my wife, children, parents and in-laws gathered around. I told the story of how my wife and I had watered the trees in our neighborhood when we were in high school, back before any houses had been built there. I talked of how God had been with us all throughout our lives, even in the moments when we didn't always know it, leading us, guiding us and teaching us through his presence and his word. And then I cried like a baby. What I spoke on that day was so much more than just words on an occasion. 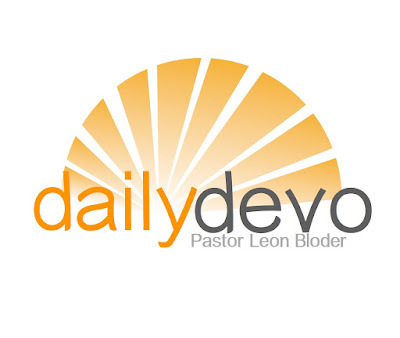 It was the story of how God redeemed his children---two little teenagers watering trees, who never imagined that one day they would stand there twenty-five years later and place the Word of God on their doorpost. The reason why I think it's so important to grow my faith, and to pass it on to my children is because I actually believe what I am telling you. I am smoking what I am selling, to use a not-used-that-often-in-a-sermon phrase. My children hear these stories. They see the Word of God on the doorpost. They see their mom and dad praying, struggling with faith, trying to hear God speak, reading the Bible. I can't guarantee that they will come to faith and that they will follow in our footsteps, but I will at least let them know that their dad believes what he says he believes. What lengths would you go to save your child's life? Your grandchild? Don't you think that their spiritual life is worth some sacrifice on your part? Teach them. Bind the Word upon you. Put it on the doorposts of your very life. Let them know by your words and by your deeds that there is a Heavenly Father who would wrap them in his arms and protect them from anything and everything the world might throw at them. Let them know that growing your faith is a priority in your life. Hear! The Lord your God, The Lord is One. Hear! With all your heart, with all your mind, with all your strength. Hear! To GROW in faith is an intentional and essential part of faithful discipleship.